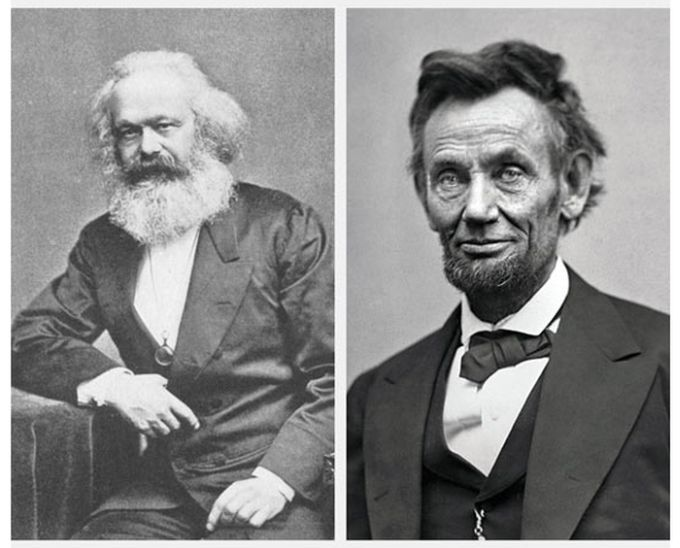 Karl Marx and Abraham Lincoln exchanged letters at the end of the Civil War. Although they were divided by far more than the Atlantic Ocean, they agreed on the cause of “free labor” and the urgent need to end slavery. In his introduction, Robin Blackburn argues that Lincoln’s response signaled the importance of the German American community and the role of the international communists in opposing European recognition of the Confederacy. The ideals of communism, voiced through the International Working Men’s Association, attracted many thousands of supporters throughout the US, and helped spread the demand for an eight-hour day. Blackburn shows how the IWA in America—born out of the Civil War—sought to radicalize Lincoln’s unfinished revolution and to advance the rights of labor, uniting black and white, men and women, native and foreign-born. The International contributed to a profound critique of the capitalist robber barons who enriched themselves during and after the war, and it inspired an extraordinary series of strikes and class struggles in the postwar decades. In addition to a range of key texts and letters by both Lincoln and Marx, this book includes articles from the radical New York-based journal Woodhull and Claflin’s Weekly, an extract from Thomas Fortune’s classic work on racism Black and White, Frederick Engels on the progress of US labor in the 1880s, and Lucy Parson’s speech at the founding of the Industrial Workers of the World. Now with the ebook as well, I've just started reading it, very interesting stuff. The clear premise of Marx’s argument is that the North was expanding at a faster pace than the South—as indeed it was. But Marx contends that it is the South that is consumed by the need to expand territorially. The expansion of the North and Northwest, as Marx well knew, was even more rapid, a reflection of a momentous industrial growth and far-reaching commercialization of farming. The North and the Northwest, with a combined population of 20 million, were now linked by an extensive network of railroads and canals. The South might talk about King Cotton, but the truth was that economic growth in the South was not at all as broadly based as that in the North. Cotton exports were growing, but little else. In 1800 the South had the same population as the North; by 1860, it was only a little more than half as large, 11 million persons, about 7.5 million being Southern whites and 3.5 million slaves. In Marx’s view, the South had three motives for territorial expansion. First, its agriculture exhausted the soil, and so planters were constantly in quest of new land. Second, the slave states needed to maintain their veto power in the Senate, and for this purpose needed to mint new slave states just as fast as new “free” states were recognized. Third, there was in the South a numerous class of restive young white men anxious to make their fortune, and the leaders of Southern society were persuaded that an external outlet must be found for them if they were not to become disruptive domestically. By itself the argument that there was a shortage of land in the South has limited validity. Expansion of the railroads could have brought more lands into cultivation. Additionally, the planters could have made better use of fertilizers, as did planters in Cuba. If there was a shortage, it was a shortage of slaves, relative to the boom in the cotton plantation economy of the 1850s. Combined with the third point—the mass of restless filibusters—the shortage argument gained more purchase. There was no absolute shortage of land and slaves, but planters could offer only so much support to their children. Southern whites had large families, and there was a surplus of younger sons who wished to make their way in the world. In the 1850s these young men—with what Marx called their “turbulent longings”—had been attracted to “filibustering” expeditions aimed at Cuba and Nicaragua—just as similar adventurers had sought glory and fortune in Texas and Mexico. Their parents might not always approve of freelance methods, but did see the attraction of acquiring new lands. "In order to maintain its influence in the Senate, and through the Senate its hegemony over the United States, the South therefore requires a continual formation of new slave states. This, however, was only possible through conquest of foreign lands, as in the case of Texas, and through the transformation of the territories belonging to the United States first into slave territories and then into slave states." "The whole movement was and is based, as one sees, on the slave question. Not in the sense of whether the slaves in the existing slave states should be emancipated or not, but whether twenty million free men of the North should subordinate themselves any longer to an oligarchy of three hundred thousand slaveholders." As social science and as journalism this was impressive, but it did not bring Marx to the political conclusion at which he aimed. The political subordination of Northerners—scarcely the equivalent of slavery—would be ended by Southern secession. Marx was focused on the possibility of destroying true chattel slavery, which he knew to be a critical component of the reigning capitalist order. He further insisted that it was folly to imagine that the slaveholders, aroused and on the warpath, would be satisfied by Northern recognition of the Confederacy. Rather, it would open the way to an aggressive South that would strive to incorporate the border states and extend slaveholder hegemony throughout North America. He reminded his readers that it was under Southern leadership that the Union had sought to introduce “the armed propaganda of slavery in Mexico, Central and South America.” Spanish Cuba, with its flourishing slave system, had already been singled out as the slave power’s next prey.